On June 20, 1888, Harriet Pollack made a deed to James B. Harper, A.B. Brown, Henry Thurmond, J.P. Mclendon, and J.B. Grubbs, trustees of the Christian Church of Adairville, Kentucky. It was for lot number 10 on the west side of Church Street which contained one-quarter of an acre, and for which the sum of one hundred twenty-five dollars was paid. The men named were from the Berea and Antioch congregations." "In his history of the Berea Christian Church, James V. Orndorff wrote of James B. Harper and wife moving into the town of Adairville and organizing a church there. The Grubbs name had been associated with the Berea church since its first ledger was kept in 1843. Henry (H.L.) Thurmond's name was on the 1896 roll of the Antioch church, as was that of J.P. McClendon. The spelling of the McClendon name (Mclendon) on the Adairville deed is an evident error. 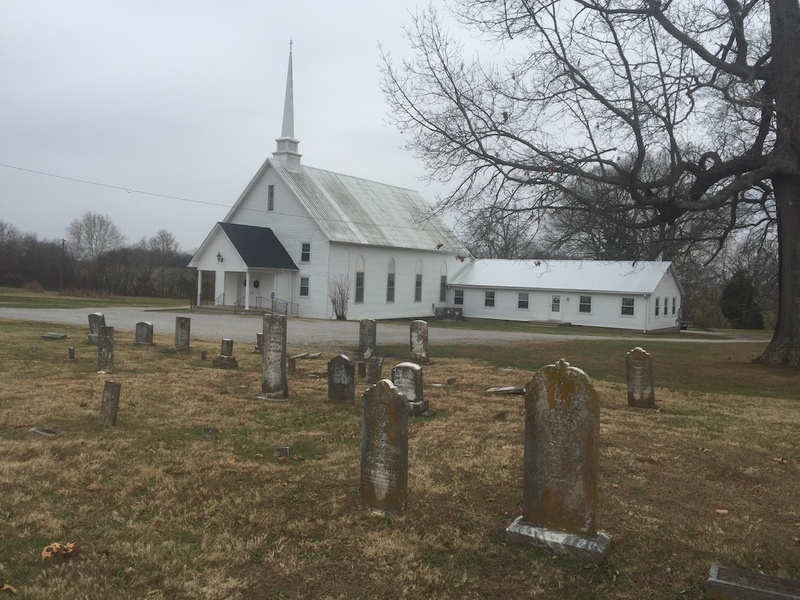 Dr. Press McClendon's interest in the Restoration Movement is clearly seen as one researches the history of churches of Christ in South Logan County, Kentucky. Orndorff referred to him as a competent physician who was a dedicated Christian and a good man. 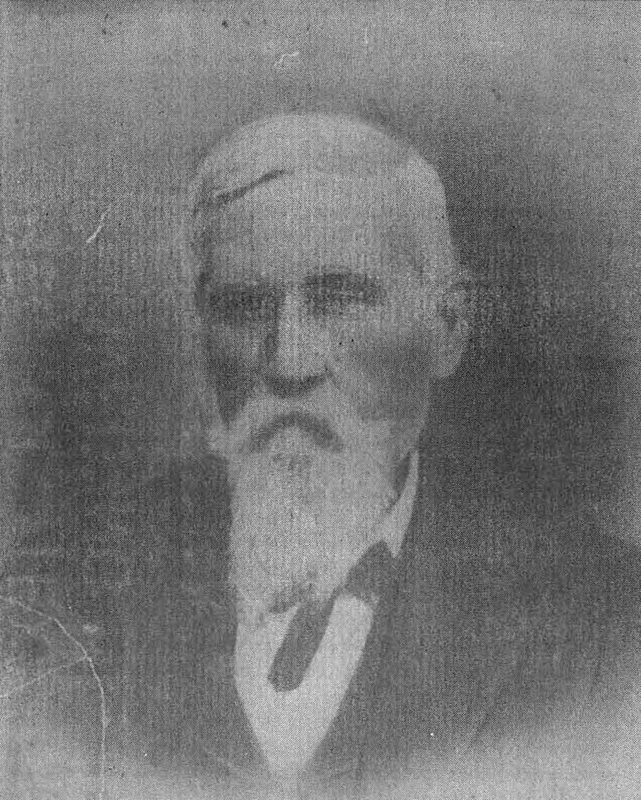 McClendon became a member of Berea church in the 1850's and was appointed elder after the Civil War. He was among the twenty members who "removed to Antioch in 1870." In 1888 he became a trustee of the Adairville church while retaining membership in the Antioch congregation. He and his family were included in the roll of members of Antioch in 1896, eight years after the deed to the Adairville property was made. The deed called for a house to be erected ""for the use and occupation of said Christian church, or sell the same for the purpose of reinvesting the proceeds in other property to be dedicated to the use of said church forever. The house constructed on Church Street was home to the Adairville church for more than sixty years. A journal was kept by Charles Mackey, who served as leader for many years. Unfortunately, the records were destroyed following his death, and oral history is incomplete. As with many congregations, the Adairville church had periods of waning interest and attendance. There were times when it seemed that the church would not be able to continue. There were, however, certain people who were dedicated and determined to hold on to the Cause in which they believed so sincerely. One family that exerted a lasting influence on the church was that of Mrs. Nellie Price and her husband, Frank L. Price. 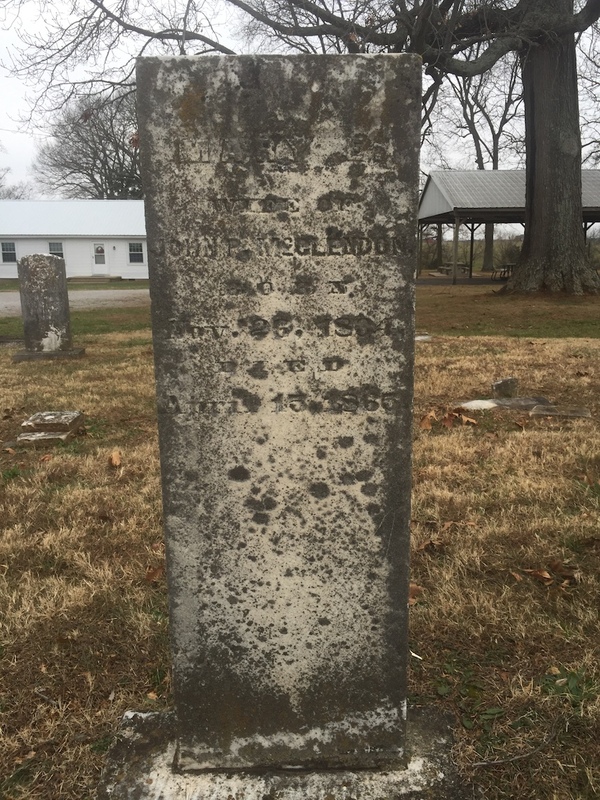 Mrs. Price was the daughter of John Rutherford, long-time elder of the Antioch church at Schochoh. There were ten children in the family-seven girls and three boys. Faithful in attendance, the Price family increased the number at services appreciably. On the Lord's Days when they visited the Rutherford family and attended the services at Antioch, the Adairville church pews were noticeably empty. Helen Price Raby remembers the activities of the church from 1920 until her marriage in the mid-1930's. Her concern for the church has remained throughout the years, and she has provided facts that tell of the struggles and accomplishments of the congregation. Endowed with talent for music, she began singing at an early age. There was a time in the history of the Adairville church when men to conduct worship were few in number. Helen Price sat in the front pew, starting the songs while Charles Mackey stood before the congregation. Helen Raby recalls these members of the 1930's: Charles Mackey; Mr. and Mrs. James O'Brien; Mrs. Nellie Rutherford Price, Myrtle, Roland, Rebecca, Lillian, and Helen Price; Mrs. J. N. Dillihay, Pauline, Bert, Claude Dillihay; Mr. and Mrs. Frank Dockins Sr.; Mr. and Mrs. Ed Flowers; Mr. and Mrs. Lon Hall; Mrs. Henry Baird; Mr. and Mrs. Jimmy Rutherford, Wallace, Lee, and Alice Rutherford; Emmett Morrow, Laura Morrow; Mrs. Ethel Pope; Lizzie Fisher; Mrs. S.T. Halcomb Sr.; Molly Flowers, and Mrs. Zach Hampton. Among those people added to the church in the 1940's and 1950's were Frank Dockins Jr., Denton Dockins; Frank Price, Ruth Marie, Jean, Dale, F.L. Price Jr.; Lavange Morrow, Aline Morrow; Mrs. Mary Mackey; and Bob Staggers. Bert Dillihay's conversion and addition to the church provided leadership that was greatly appreciated. A young man who later was "to choose education as.his life's work, he_ became a serious Bible student. 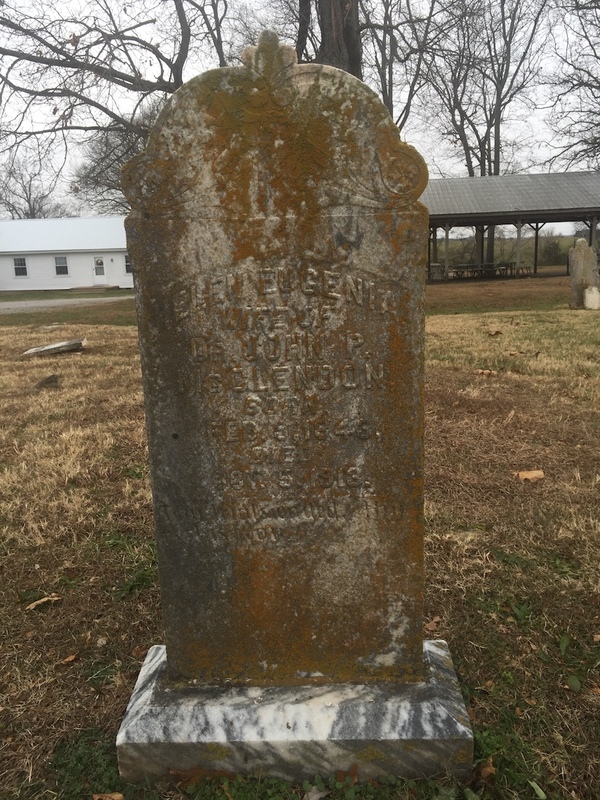 Before his work took him out the county, he was active in the Russellville and Corinth churches._ Both Bert and his brother Claude served the Russellville church as elders for short terms. There was no baptistry in the building on Church Street. Baptisms took place in Red River. The Frank H. Dockins family moved to the Adairville community in 1933. Frank and Louise Dawson Dockins had two young sons, Frank Jr. and Denton. Frank H. Dockins was converted at Locust Grove. 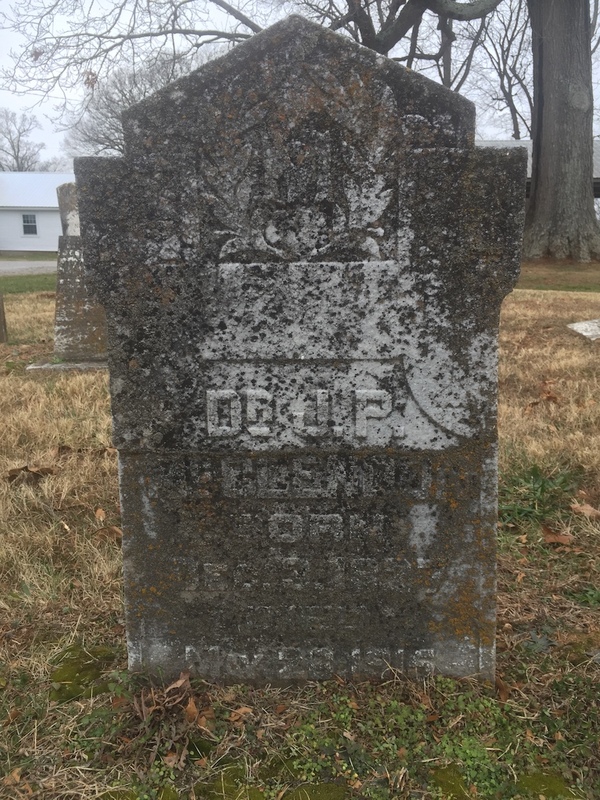 His wife was a member of the Bethany congregation near Olmstead, Kentucky where she had grown up and was a descendent of Robert Dawson, one of the early leaders of the Restoration Movement in Logan County. F.H. Dockins Sr. was a long-time elder of the Adairville church, and at age 95 in the year 1986 meets each Lord's Day with the church for worship services. Frank Jr. and Denton attended David Lipscomb College and Frank has served the Lord's church as an evangelist, song director and elder. Amos Gardner and his family moved to Adairville in 1946, after purchasing a grocery store. 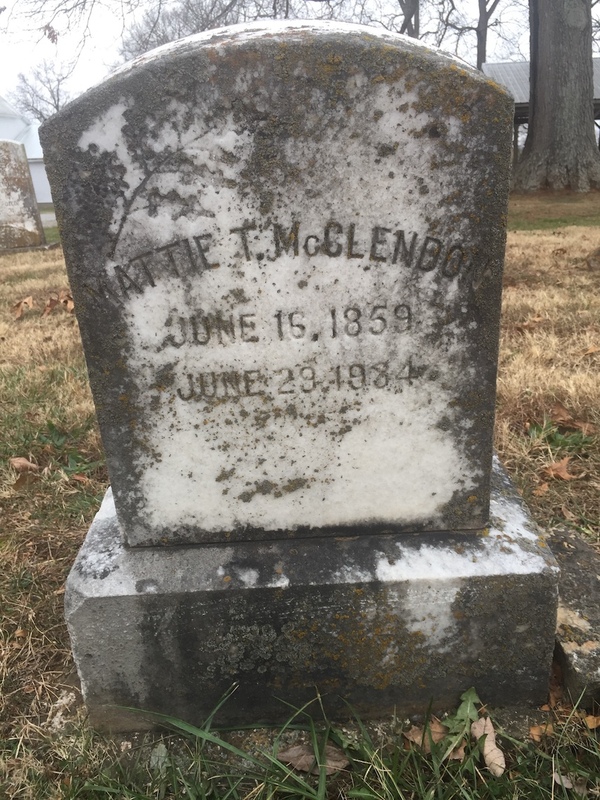 Known as "Amos the Sailor," he became well-known in South Logan County. A Christian when he moved to Adairville, he grew spiritually and became interested in preaching. Throughout the years he has continued to grow and has worked with congregations that had special needs-recently organized churches, such as Lewisburg in the 1940's and Keysburg in the 1950's, and with churches with waning interest and attendance such as Kedron in the 1980's. When not needed by another church, Gardner has worshipped with the Adairville church. In 1949, F.H. Dockins Sr. approached M. M. Rice in the interest of buying lots fronting North M11in Street. Rice was unaware that the land would be used for the construction of a church building. He later remarked that he would never have sold it had he known the purpose for which it was purchased. The deed was made November 25,1949, between M.M. Rice and wife, Eva Rice, and F.H. Dockins, J.Q. Diddle, R.L. Halcomb, J.N. Rutherford, George F. Barnes, C.V. Byrum, C.C. Cornelius and Charles W. Mackey, trustees of the Church of Christ, Adairville, Logan County, Kentucky. It was for lot number 58 and the south" "half of lot number 57. A strip of land 20 feet wide on the north side of lot number 57 had l>een sold and conveyed to Dr. W.L. Gossett by prior deed. Before the new building was erected the old building was sold to the trustees of Independence Church of Christ. (Later accounts of that church used the name Independent Church of Christ.) Signing the deed were the above trustees with the exception of J. N. Rutherford. The building was completed in 1950. An interesting story about the construction relates that Mrs. Louise Dockins and her son, Frank Jr., were observing the laying of the foundation, when she turned to go to the drug store. There she purchased a copy of the Bible from her future daughter-in-law, Davy Lee Dawson. Returning to the building site, she had the workmen place the box containing the Bible in the corner of the foundation." "A short time after the building was completed, Roland Price, remembering the church of his childhood, contributed $5,000 to clear the church of the debt it had incurred. The first addition was made in 1960-61. It consisted of three classrooms and two restrooms. In 1970 another addition provided two classrooms downstairs and three more upstairs. Outstanding preachers have served the Adairville church on many occasions. In earlier days the majority of those men commuted from Nashville and were often associated with David Lipscomb College. Among them were Batsell Baxter and E.H. Ijams, both of whom served terms as president of that institution. Other preachers for the church in the early half of the century were Charles H. Brewer, Charles Hodges, and Harold Baker, who was located there for two or more years. In 1967 a minister's home was obtained. Before that time any preacher who lived in Adairville rented or bought a house. Harry Anderson was the first minister who lived in the preacher's home. Among the other located ministers of the church have been Douglas Jones, O.B. Page, Raymond Better, James Holder, Marvin Crouch, who lived there for six years, Richard Sain, who remained for three years, and Clarence Gates, who served the church for six years. Bob Salmon began work with the church in 1986. Three young men who were ministerial students at David Lipscomb commuted to Adairville. They were Ralph Casey, Ronald Joyce, ahd Stanley Blackman. Among those evangelists who have assisted in meeting work have been Batsell Barrett Baxter, Ed Van Hoosier, J.R. Pugh-who has preached in three series of meetings, Mack Wayne Craig, and S.P. Pittman. Presently there are no elders overseeing the work of the Adairville church. As previously mentioned, Frank Dockins Sr. served for many years in that capacity. Other men who have been elders are Jim Diddle, J.D. Stone and Benny Richard. While not officially recognized as an elder, much of the present leadership falls upon the shoulders of John Lee Batnes. The Adairville church helps support a missionary to Brazil and participates with other congregations in the area in supporting the "Herald of Truth'/ bro.adcast on Channel 13. The church has long contributed to Potter Home and School. It becomes my duty as well as privilege to chronicle the death of one of the greatest men the writer was ever associated withDr. John P. McClendon. He was in his eighty-seventh year. He was married twice, marrying sisters, both splendid helpmates and devout, Christian women, of whom were born eight children, four to each union. Two children and both wives have passed on before and stood ready to meet him on the other shore. Brother McClendon was a good physician and loved to relieve pain and distress at all times. He had been a close student of the one Book and a devout Christian for about sixty years. He was, if I mistake not, an elder in the same congregation of which my father was a memberBerea, in Logan County, Ky. From thence he went to Antioch, in the same county, and thence to Adairville, same county, acting as elder in each congregation. He was loved and respected by all men wherever known. He was honorable in all his dealings with his fellow-man, conscientious, fearing and loving his Lord and Master. The writer was associated with him more or less for about forty years. He was part of the time my family physician. If he ever intentionally wounded the feelings of any one, I never heard of it. He was very firm in his convictions, yet kind and courteous to those who held contrary views. 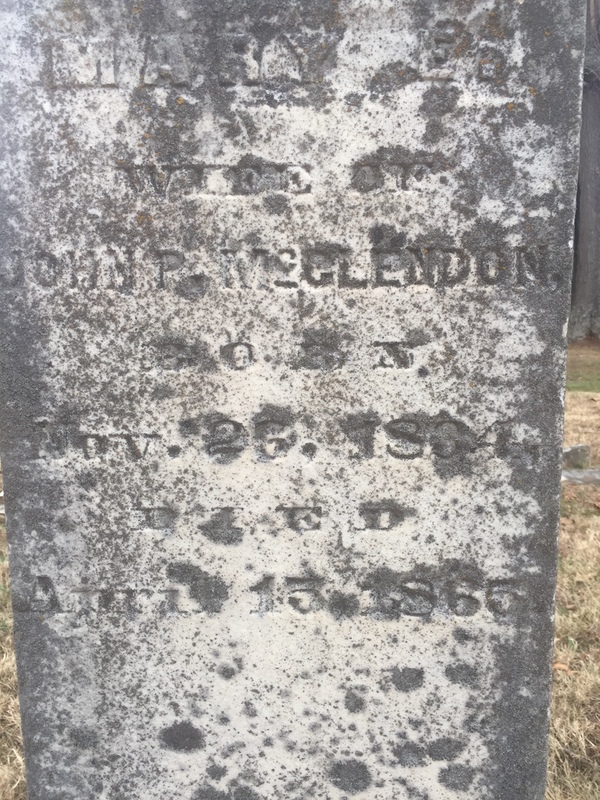 When it came time to say good-by, all men of every faith or no faith were ready to say the tendency of Brother McClendon was always upward; in fact, every one believed him to be a Christian. I am sorry to say that in his last days he had some unnecessary trouble. 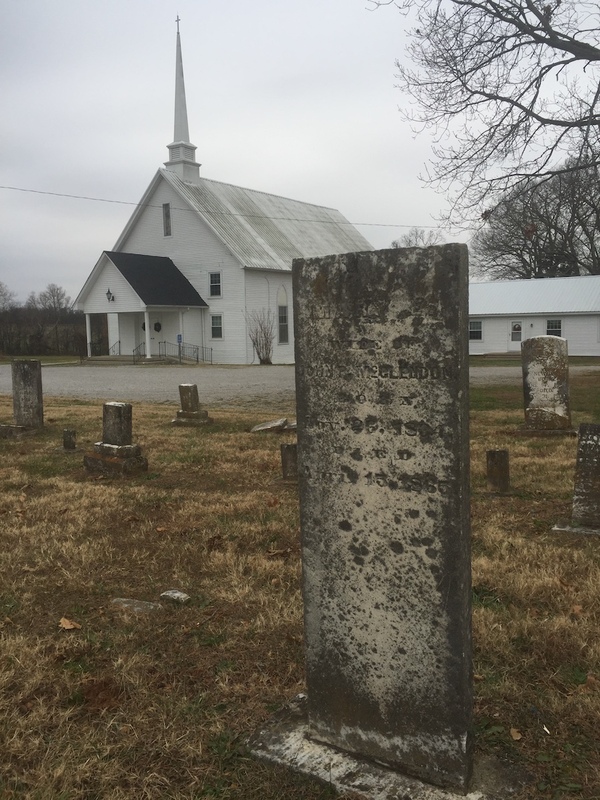 The Adairville congregation introduced the organ and this old soldier of the Lord was compelled to seek congenial company. They offered to keep it closed if he would return, but he told them no. Said he: "Unless there is a godly sorrow that works repentance to the undoing of the wrong, there can be no congeniality of spirits worshiping the same God." He was far above the ordinary man in perception. He was a close student of the Bible and had quite a number of commentaries, but, I think, apart from the Bible, preferred Lipscomb and Sewell to all other commentaries. I do not think I ever saw a more devoted family. They tried to anticipate every want of the grand old father in his last days. After speech was gone, and conscious to the last, he could, as it were, speak to them with his eyes. Would that every family was as devoted to each other! To him death was not dreaded. Having fought a good fight and having kept the faith, he was ready to depart and be with the Lord. To the children and to all others I would say: "Let us lay aside every weight, and the sin which doth so easily beset us, and let us run with patience the race that is set before us, looking unto Jesus the author and finisher of our faith," who of God is made unto us wisdom, righteousness, sanctification, and redemption. Gospel Advocate, September 9, 1915, page 918. New Hope Baptist Church is located a few miles east of Adairville, Kentucky. From downtown Adairville, take County Road 591 nearly 6 miles. The cemetery is out beside the old church. Gospel Advocate, February 26, 1914, page 260.